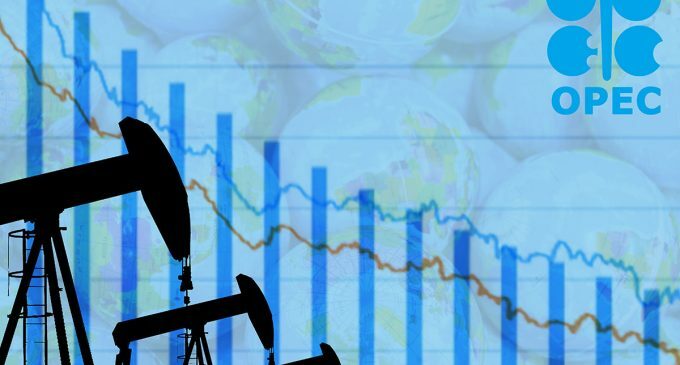 During the bidding process on Thursday, the prices of crude oils began to decline after rising to a five-month high, shown by the market the day before. The rise in the market, supported by the reports of the continued decrease in the OPEC + production, was restrained by the data on the increase in stocks in the States, which appeared on Wednesday. Brent futures for June have fallen by 27 cents to $ 71.46 per barrel. On Wednesday, they rose by 1.5% and cost $ 71.73. The May contracts of WTI also showed a little drop. At the moment they are being traded at a price of $ 64.31. For comparison, on Wednesday, their price was $ 64.61. This value was the highest since October 31st. American oil reserves have been growing for 3 weeks in a row. This time they have increased by 7 million barrels. This is the highest level since November 2017. Daily production has remained at the same record level of 12.2 million b / d. For the third week in a row, exports from the United States have been declining. Now it is at the lowest level since January. The US Department of Energy also has announced a reduction in gasoline stocks. The reserves have decreased by 7.7 million barrels. This is a record fall since September 2017. Distillate stocks have decreased by 116 thousand. The data from the Ministry has not coincided with the forecasts made by the experts. According to them, oil reserves should have increased by 2.8 million barrels, while gasoline and distillate stocks should have decreased by 1.9 million and 1.5 million, respectively. Analysts say that despite the potential for the further price increase and the possible overcoming of the psychological mark of $ 65 by WTI, a further rise in the market will be leveled by the increased production in the United States. It will be very difficult for the market to grow further, because prices have risen significantly since the beginning of the year. OPEC has released a report stating that compared with February of the current year, the cumulative production of the cartel has fallen by 534 thousand b / d. The current level of the production is slightly more than 30 million b / d.